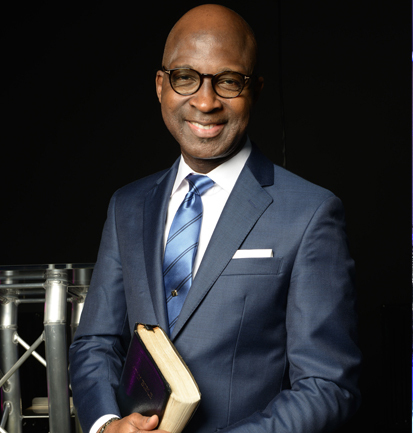 Paul Fadeyi is the presiding BIshop of Grace Outreach worldwide. The ministry headquarters is located in London, England. He is called to be an Apostle to the nations. God has blessed his work with consistent growth, miracles, signs and wonders, both home and abroad. The Apostolic anointing upon his life has influenced and impacted countless numbers of people. This is evident by the unusual spiritual capacity God has given him to impact joy into people's lives, an anointing that has drawn many to the Lord. He has a keen interest in learning. In addition to his previous qualification in Food Technology, he has a BA (Hon) in Psychology and Religious studies. He has written books to encourage and challenge his readers to live a life of victory in Christ Jesus. Bishop Paul hosted the popular TV program, 'Its a New Day in Your Life' which was aired across Europe and other continents. He currently shared God’s message of Hope to the helpless through the social media platform.